Beyonce’s father Mathew Knowles says he will buy baby Blue Ivy anything she wants — and he has a special lullaby that the new mom may find familiar. 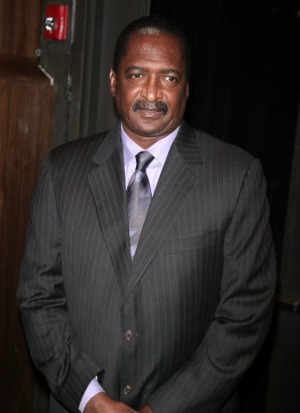 It is definitely a grandparents’ job to spoil their grandbabies rotten, but it is possible that Mathew Knowles might take it a bit too far. Beyonce’s dad said that baby Blue Ivy can be anything she wants — because he is fully prepared to buy her way in. “If Blue Ivy wants to be a doctor when she grows up, then they would figure how to buy a hospital,” Knowles stated on British TV talk show Lorraine. Knowles is part owner of the Chicago Sky WNBA team. One thing is certain about Blue Ivy’s future: Music will be a huge part of it. In addition to her parents Jay-Z and Beyonce being huge stars, Beyonce’s father — who started the mega-watt singer on the road to stardom — makes sure he sings the same lullaby to the baby as he did to Beyonce and her sister. Hey, it worked for them, right? Sounds like Beyonce and her dad are back on speaking terms after her mom left him for fathering a child with another woman and Beyonce fired him from her management team.